Choosing the right medical cannabis strain for your needs is not as simple as you might think. With the ever-increasing number of new marijuana strains appearing on the market, the medical cannabis grower is spoiled for choice. This blog will help you make the right decision. Back in the dark days of the depressing 1930’s, a nutter named Earle Albert Rowell was a serious anti-marijuana campaigner. Rowell was such a hardliner that he often criticised law enforcement for not doing enough to eradicate weed and lock up its users. In his 8 point anti-marijuana summary, Rowell outlines the supposed ills of cannabis. Today, this kind of propaganda is comical to read. However, at the same time as the lie was peddled, the truth was known to the scientists and politicians. The liars themselves knew. Unfortunately, the New York Academy of Medicine's report issued in 1944 (commissioned in 1938 by Mayor LaGuardia) was the best scientific and sociological study of cannabis ever undertaken. It proved marijuana was not a dangerous, highly-addictive drug, and instead had medicinal properties warranting further study. Yet, it was dismissed as “fake-news” because it did not fit the establishment agenda or the ultra-conservative political climate. Medical Marijuana is now internationally recognised as natural medicine. CBD has leapt forth from the shadow cast by THC to become the first mainstream cannabinoid. Non-psychoactive cannabis products containing CBD are legal across most contemporary Western civilisations. Cannabis is now a real alternative to pharmaceuticals. Home cultivation of medical cannabis is on the rise. With the recent development of CBD-rich strains, the medical patient can easily become a self-sufficient medical cannabis cultivator. Modern medical cannabis strains are no longer primarily recreational strains with some medicinal value. Contemporary medical cannabis is far more nuanced. In fact, the medical grower has never had so much choice. A great place to find a shortlist of suitable strains is our very own top 10 medical seeds list. Portion control, cannabinoid profiles, and calorie counting was simply not on the agenda at “Le Club des Hachichins.” The original illuminated “hash eaters” like Gautier had no idea how much or how little a dose of cannabis they were gobbling in thumb-sized chunks of hash sweets. That is, until the effects kicked in. Nowadays, we know a little better and have a handle on at least a pair of compounds. Cannabinoids are chemical compounds contained in cannabis. THC is the most famous and is known as the “bliss molecule” responsible for getting users high. CBD, on the other hand, is the newly famous non-psychoactive cannabinoid. To date, these are the only two with enough research to speak on with authority. CBD’s therapeutic properties include everything from end-of-life care to treating minor maladies. Pain relief and the absence of cerebral effects characterise CBD. Moreover, THC and CBD have synergistic effects. Whole plant medicine based on a blend of both THC and CBD in varying ratios is the latest trend. In combination, the two deliver a moderate psychoactive effect that is not too intense for many patients. All human beings have an endocannabinoid system that is designed to be stimulated. We are all unique individuals, so no two patients are exactly alike. A standardised response to medical cannabis is impossible to quantify as every medical cannabis user will respond slightly differently. The onus is on the home medical cannabis grower to experiment with different strains and phenotypes. For the medical marijuana user, it is also essential to experiment with medicinal strains and doses. Unfortunately, 21st century hard data from non-biased scientific researchers is hard to come by. Hands-on personal experimentation and networking with other medical cannabis users will teach you more than any scholarly study. The most widely-accepted botanical and legal name for weed is Cannabis sativa L. In practice, it’s easier to split marijuana into five relatively broad categories as outlined below. We chose to omit hemp as its applications are more industrial. Pure sativa weed is virtually unobtainable these days, although plenty of sativa-dominant hybrids abound. Sativa-leaning cannabis is renowned for its uplifting, energetic, and cerebral effects. High levels of THC and very low to nil CBD levels are typical. Medicinal applications are more suitable for mental illnesses like depression and anxiety. As tall late-bloomers, a near-pure sativa strain needs three months or longer to flower and often requires pruning and training to control height. Heavy indica strains like Kush and Northern Lights are old-school medical marijuana. High THC and usually above 1% CBD gives the bushier indica a few advantages over sativas for patients with physical health conditions. The more sedative and dreamy effects of potent indica cannabis have been appreciated for assisting with pain relief and sleep issues for thousands of years. Blooming in 7-9 weeks, indica strains are a great option for medical growers with limited space and time to cultivate. Here we refer to photoperiod cannabis strains that are crosses of indica and sativa. As you would expect, hybrids have diverse potencies ranging from quite low to incredibly high. Generally, ever higher THC levels and some CBD (usually 1% or less) are common to modern hybrids. A combined head-body effect with both euphoric elements and stoned body sensations can be induced to varying degrees with hybrids. Most growers these days are growing hybrid genetics as landraces are so rare. 8-10 weeks of bloom with vigorous growth is a hallmark of a high-grade hybrid. Remo Chemo is a new indica-dominant hybrid that can reach up to 24% THC. Next-gen autoflowering cannabis hybrids are not merely ruderalis dwarves. Today’s autos are hybrids of indica, sativa, and ruderalis genetics. They have comparable potencies with photoperiod strains and are the fastest flowers to bring to harvest. 8-12 weeks is enough to complete a crop from seed. Lately, CBD-rich autos have burst on the scene. CBD-rich autoflowering hybrids are a great choice for outdoor growers with limited space and short summers. Definitely the best option for the time-poor medical cannabis grower. CBD-rich cannabis is the game-changer medical marijuana has been waiting for. Instead of focussing exclusively on developing strains for maximum THC content, breeders are now creating medical strains with high CBD content. Both photoperiod and autoflowering hybrids with high CBD levels are widely available and rapidly becoming the most popular amongst medical cannabis growers. Whole plant medicine with a 1:1 THC:CBD ratio is believed to hold the greatest potential. CBD Critical Mass and Dance World are two highly productive CBD-rich strains with relatively balanced THC:CBD levels. In 8-9 weeks of standard 12/12 flowering, around 500g/m² of medical marijuana can be produced with these easy-cropping CBD-rich strains. CBD Critical Mass grows with similar indica-dominant characteristics to the original commercial grower’s favourite Critical Mass. The big difference is her 5-10% CBD content, which is approximately equal to THC content. This medical strain is a good choice for beginners and grows well in a variety of substrates. CBD Critical Mass is ideally suited to the SOG method. Dance World is a sativa-dominant hybrid based on legendary Dancehall and Juanita la Lagrimosa genetics. This medical cannabis strain has little growing aroma with an earthy, spicy, and fruity flavour. THC and CBD levels are typically a balanced 10% and 12% respectively. 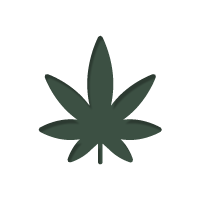 A mild but energetic psychoactive effect makes this ideal daytime medical marijuana. Dance World has a more compact indica stature than most sativa-dominant hybrids. This makes her perfect for smaller grow spaces and suited to the SOG method. Cool-sounding brand names, celebrity endorsements, know-all know-nothings, and old-school evil advertising will attempt to make the decision for you. But you must not be swayed. The only way to find the right medical cannabis strain is to do the research yourself. A good rule of thumb is to base this selection upon cannabinoids and genetics. Of course, direct sources like fellow medical cannabis cultivators are invaluable. Plus, blogs written by and for growers like this one are excellent secondary sources. If you still can’t quite make up your mind on which medical cannabis strain to choose, relax; there’s an app for you. Potbot is a digital medical marijuana Budtender. Simply select Colorado as your state when signing up to access everything. This handy app can provide information on specific cannabinoids’ effects on various medical conditions. Now go find the perfect medical cannabis strain and get growing.